The Republican says military and provisional ballots yet to be counted could be enough for a recount. Two days after losing Alabama’s special Senate election, Republican nominee Roy Moore has yet to concede the race. 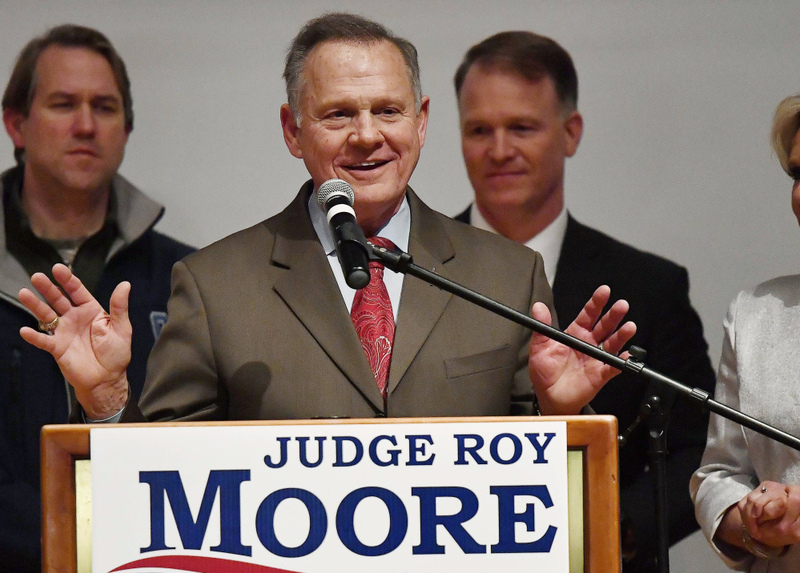 Moore, who suggested on election night that the race would go to a recount, said in a Wednesday web video that late-counted ballots could change the results of the election. Moore, who lost by 20,715 votes, has received no official support from his party since digging in. President Trump congratulated Democratic Sen.-elect Doug Jones on election night. Alabama’s Republican Party, which stood by Moore when national Republicans abandoned him, congratulated Jones on Wednesday. At Thursday’s White House briefing, press secretary Sarah Huckabee Sanders expressed surprise that Moore had not made a concession call. “Sounds like it should’ve already taken place,” she said. Alabama Secretary of State John Merrill, who sided with Moore’s campaign during several election controversies, has said that the election will be certified Dec. 28. But at the same time, Merrill’s office has had to brush off conspiracy theories promoted by pro-Moore websites, which have suggested that the results were tainted by fraud. One theory, which went viral before being debunked by Snopes.com, was that multiple black voters were caught trying to vote with fake IDs. (More than 95 percent of black voters supported Jones, giving him his winning margin.) Another, also debunked quickly, was that vans of illegal voters were seen somewhere in the state. Merrill’s office confirmed that there had been no actual reports of fraud. “There’s a lot of misdirection that comes in around Election Day,” said John Bennett, a spokesman for Merrill. “We got no reports that caused us enough concern to act against them.” Alabama’s voter ID law, which has survived tough legal challenges, had previously led to four convictions of voter impersonation.